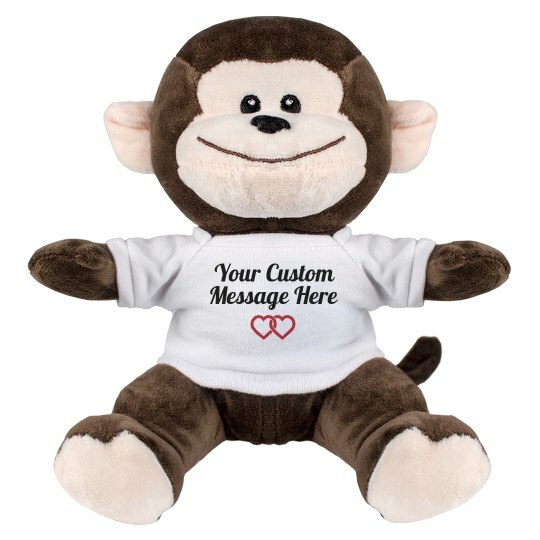 What better way to show somebody you care about them than with an adorable plush monkey stuffed animal? Customize this monkey's shirt with any design that you want! This small monkey plush is great for birthdays, graduations, holidays, and more. Surprise your Valentine with an adorable stuffed monkey for them to cuddle with. Personalize their new cuddle buddy with a romantic message which is the perfect way to show your love on Valentine's Day.